Inspire retailers to discover products that are not on their shopping lists while they wait at the counter in wholesale stores. Emerging and developing economies are home to 85 percent of the world’s population. These countries are the fastest growing retail markets in the world, where you can find any retail format you can imagine. Yet, most of shopping in the countries like India, for example, is still done in the millions of small shops crisscrossing local neighborhoods. These small shops are usually family owned. The owner, or Retailer, knows his customers very well; what products & brands they buy, and the value they expect. Retailers go to Wholesalers when they need to buy stock and often spend almost 50% of their time waiting in this process, mostly near the counter. While waiting, they are bored, so they talk to each other, browse on their phones, look around in the store or just do nothing. Our sponsor, P&G, who sells shampoo, detergent, diaper brands, and more, believes that this is the only time when Retailers are open to discovering products that are not on their list / in their basket, so they want to grab their attention, to engage them on products they don’t buy. How could P&G use this “bored waiting time” to introduce Retailers to other brands and products worth considering for their business? 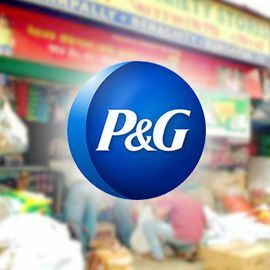 Create an impactful solution for P&G that will engage retailers in the countries like India to consider buying additional products while they wait at Wholesaler store counters. Format: A presentation with visuals, text and answers to the questions. Maximum 2 pages in PDF. Participate before March 18, 2018 23:59 UTC.